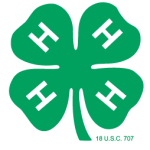 Wisconsin 4-H Healthy Living – 4-H engages youth and families with opportunities to achieve optimal physical, social and emotional well-being. Through our healthy living programs, supported by research, 4-H youth are learning how to lead lives that balance physical, emotional, and social health so they may lead healthy, productive lives into adulthood. 4-H youth are giving back to their communities and are creating change with the issues that matter the most to young people today – nutrition, childhood obesity, drug awareness, bullying, safe driving, suicide prevention, decision-making, and stress management. Wisconsin 4-H Healthy Living programs vary by county. Contact your County UW-Extension office to find out more about programs available in your county.